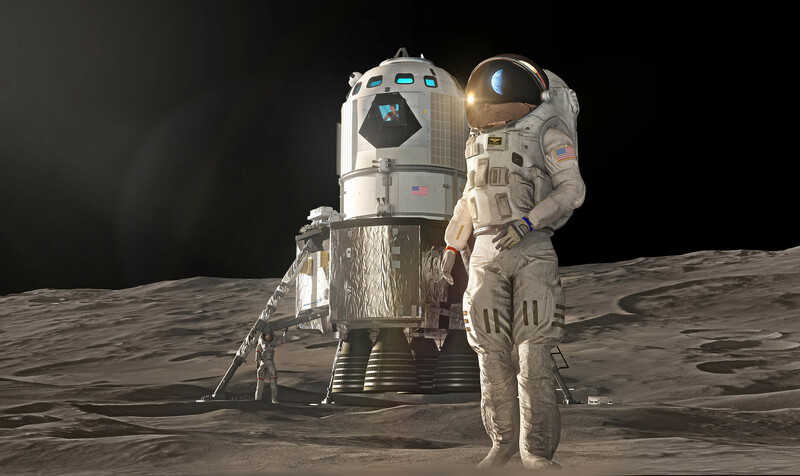 American aerospace, advanced technologies and defense company Lockheed Martin has published two new renders of its Lunar lander. 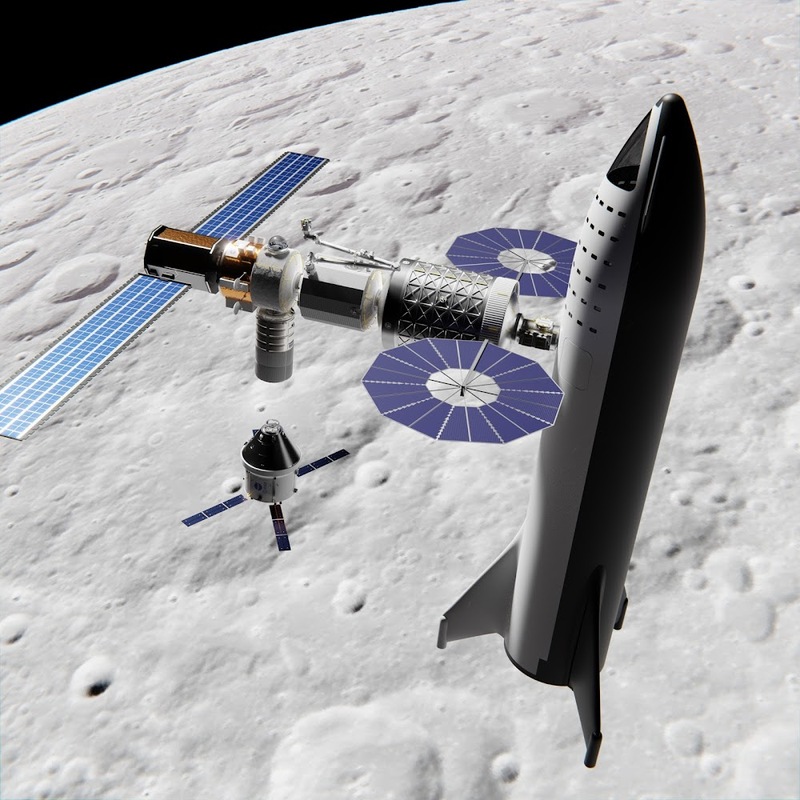 The lander seems to be scaled down a little if compared to the concept published last year. The purpose of the two-stage lander would be to ship 4 astronauts from NASA's planned Lunar Orbital Platform-Gateway to the surface of the Moon and back. 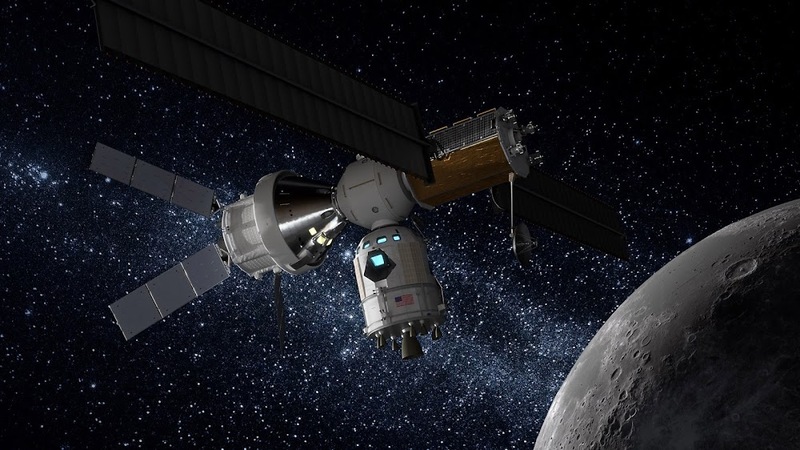 The ascent stage is derived from the Orion spacecraft to ensure quicker development of the lander for an accelerated human return to the Moon as early as 2024 (according to the new aspirational timeline of NASA's leadership). 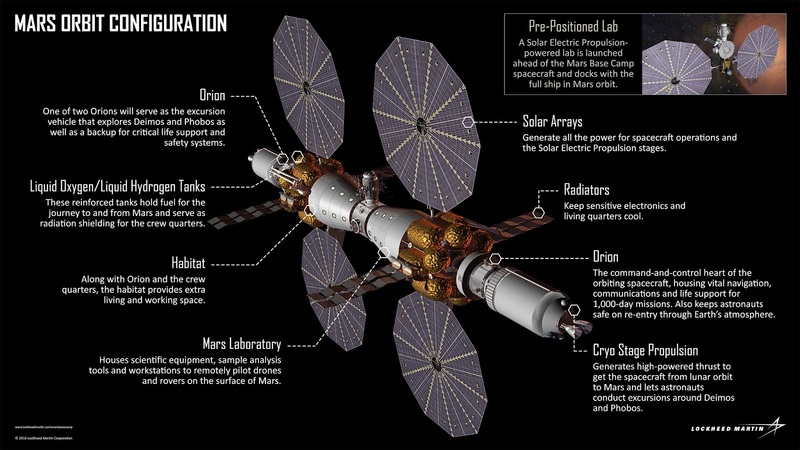 On 2017 Lockheed Martin also proposed its concept for a 4-person Martian lander. In a few hours at 2017 International Astronautical Conference American aerospace, advanced technologies and defense company Lockheed Martin will give an update to its Mars Base Camp concept. 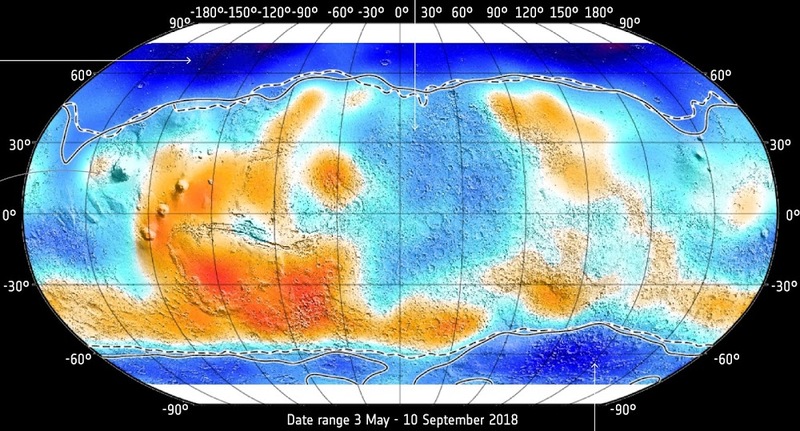 If accepted by NASA the Mars Base Camp would be a manned "Mars-orbiting science laboratory where astronauts can perform real-time scientific exploration, analyze Martian rock and soil samples, and confirm the ideal place to land humans on the surface in the 2030s." 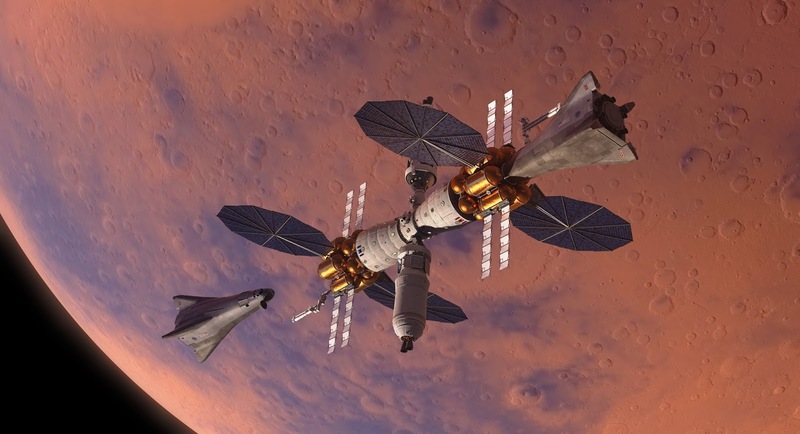 The proposed mission would send humans to Mars orbit by 2028 and is "designed to be led by NASA and its international and commercial partners." 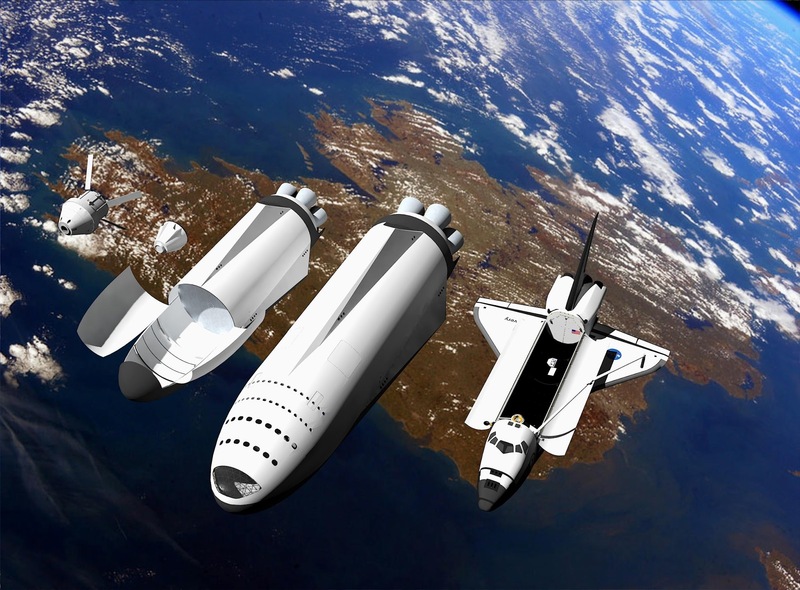 Fan vision of possible SpaceX's scaled down version of the ITS cargo spaceship (for 9m booster) compared with the original ITS crew spaceship (for 12m booster), Space Shuttle, Orion and Dragon; created by NASASpaceFlight.com forum member lamontagne. 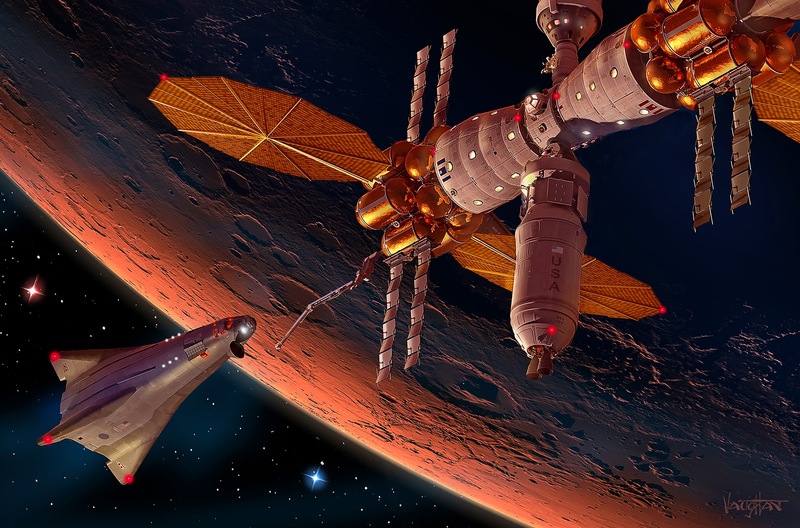 We will learn the actual SpaceX design for the scaled down version of the Interplanetary Transport System (ITS) only during Elon Musk's presentation at the 2017 International Astronautical Conference in Adelaide, Australia, September 29.